Interested in contributing? Join the mailing list or check out the developer wiki. Apache Arrow™ enables execution engines to take advantage of the latest SIMD (Single input multiple data) operations included in modern processors, for native vectorized optimization of analytical data processing. 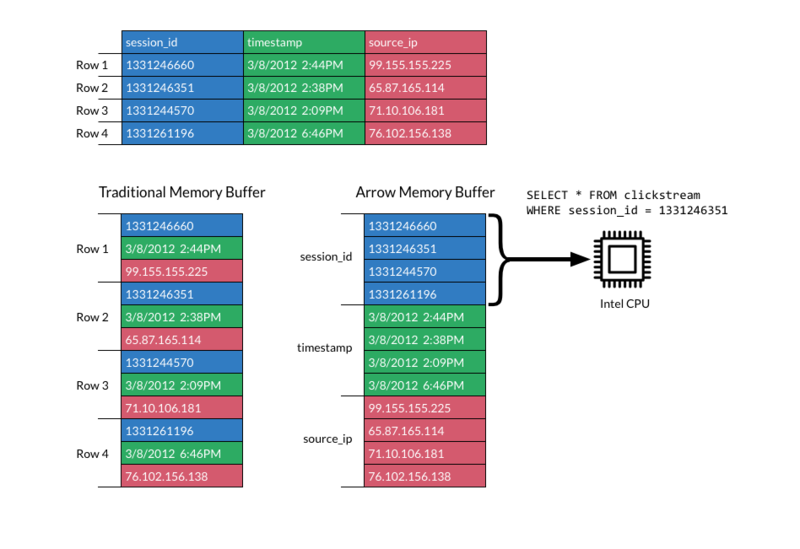 Columnar layout is optimized for data locality for better performance on modern hardware like CPUs and GPUs. 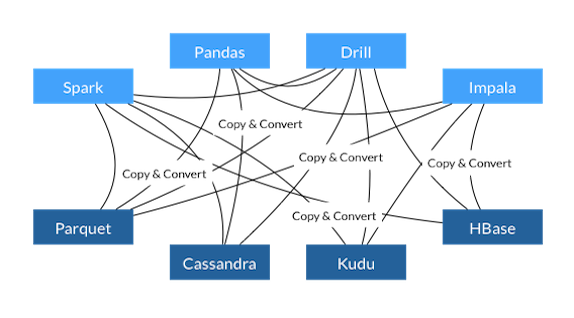 The Arrow memory format supports zero-copy reads for lightning-fast data access without serialization overhead. 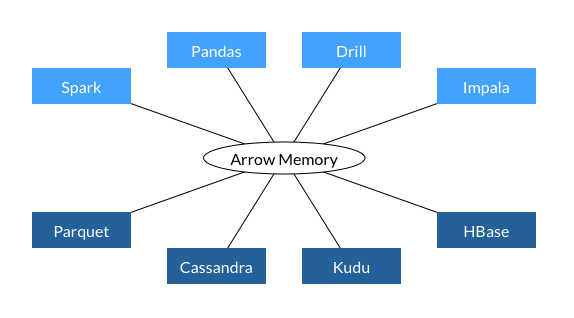 Apache Arrow is backed by key developers of 13 major open source projects, including Calcite, Cassandra, Drill, Hadoop, HBase, Ibis, Impala, Kudu, Pandas, Parquet, Phoenix, Spark, and Storm making it the de-facto standard for columnar in-memory analytics. Columnar memory layout allows applications to avoid unnecessary IO and accelerate analytical processing performance on modern CPUs and GPUs.